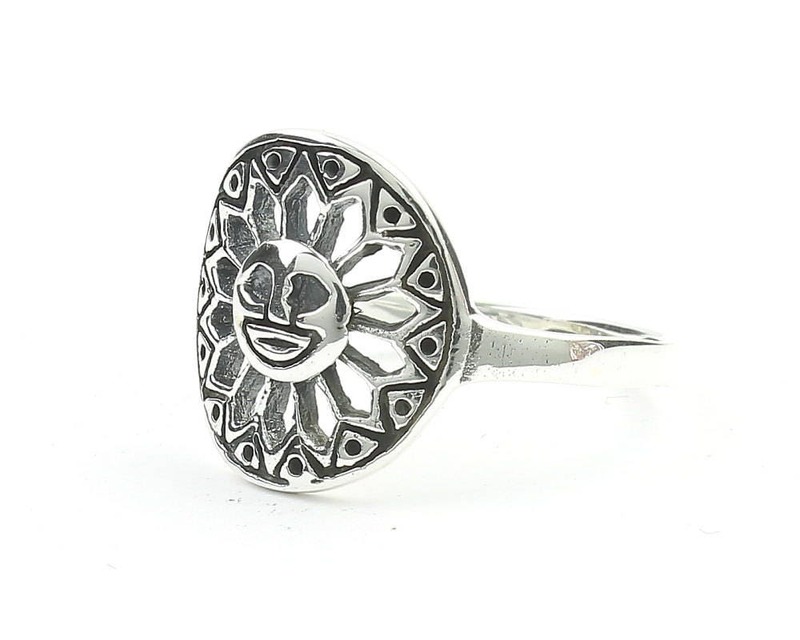 Sterling Silver Cosmic Sun Ring. 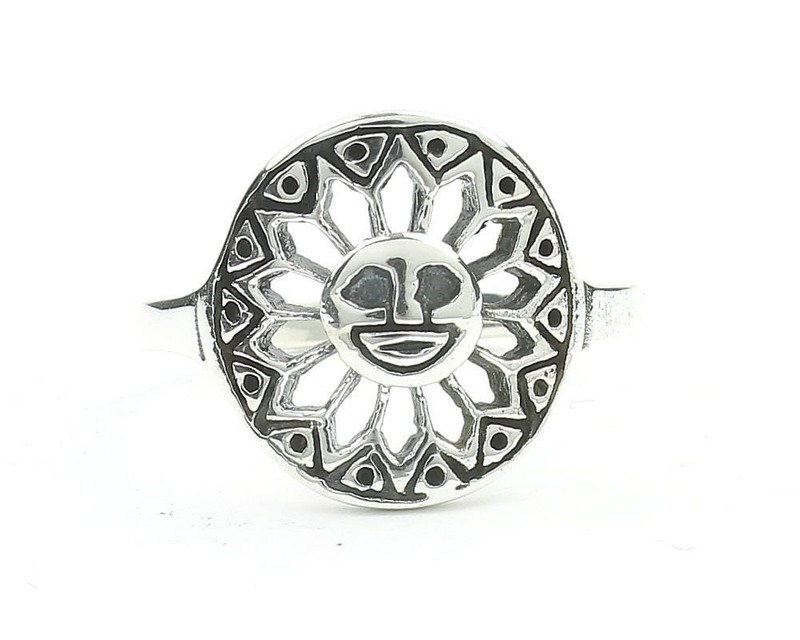 This sterling silver sun ring symbolizes power and energy. The sun is the central source of life and light within the soul. The center of humankind's existence. Patina finish gives the piece a lovely organic look. This ring is really lovely and an amazing value thanks so much!!! !